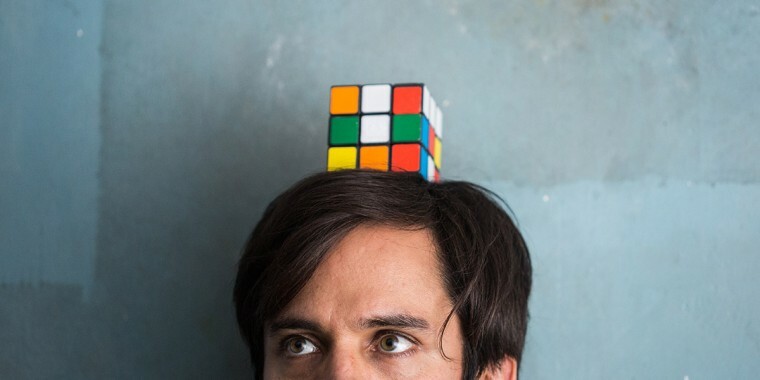 “Throughout his career, Gael García Bernal has used his youthful energy to play anxious rogues and sensitive troublemakers. From his breakout roles in “Amores Perros” and “Y Tu Mamá También ,” the actor has graduated into playing the conflicted lead in the Amazon series “Mozart in the Jungle,” a fatherly figure in “Coco” and is currently working on a new adaptation of the famous Mexican superhero, Zorro. In his latest role in Alonso Ruizpalacios’ “Museo,” Bernal once again returns to the mischievous charm of his early days. Juan (García Bernal) is at once a scoundrel and a thief who cares almost too much about the priceless artifacts he and his friend, Wilson (Leonardo Ortizgris), steal from Mexico City’s National Museum of Anthropology. It was one of the largest art heists in the country’s history, although the Christmas Day theft of over 140 items wasn’t exactly successful. Under stress from the heist, Juan undergoes a kind of change of heart about who he wants to sell these rare artifacts to, arguing against selling to outsider collectors. In a clever way, the movie raises the issue of who is allowed to own and sell culture. “You can interpret this transformation as they’re becoming haunted by the pieces,” said García Bernal of the movie’s main characters. He and director Mexican director Alonzo Ruizpalacios spoke to NBC News while they showed the film at the Toronto International Film Festival. In his research for the film, director Ruizpalacios said he found even more contradictions in the art world. García Bernal recognizes that some collectors, in their own ways, protect art from being lost or damaged. True to the bitter humor of Ruizpalacios’ previous film, his internationally acclaimed, “Güeros,” “Museo” reveals the two young men have bungled their poorly thought-out plan and are now fugitives weighed by cargo they cannot sell to any collectors. In their efforts to profit off the stolen goods, they leave Mexico City to Acapulco, a hub for outsiders and rich tourists. On their trip, they stop at the public sites of Mayan ruins, and the movie subtly raises the paradox of tourism: Is a historical place helped or ruined by the droves of tourists that trample the ancient grounds? The moment was not lost on García Bernal, who lamented the state of the ancient site. “It’s full of hotels and right within the city,” he said. “But it’s like a very new Burning Man there,” he said, adding that rich tourists can enjoy all-inclusive resorts and pricey trinkets that in turn, also help keep the attraction open for visitors. Sharing history, art and culture goes beyond placing items in a display case or hanging them on a wall. In addition to the movie’s sly sense of humor, slick visual style and García Bernal’s standout performances, “Museo” proves to be a provocative movie exploring how we approach and value the priceless reminders of our past.